Derek ‘War’ Chisora has enlisted the service of top U.K trainer Dave Coldwell as he prepares to make his return to the ring. In the latest twist to his compelling career, under the guidance of David Haye’s Hayemaker Boxing, Derek Chisora has today announced he is now working with Dave Coldwell as a showdown with Joseph Parker later this year seems likely. Dave Coldwell, the man who guided Chisora’s good friend Tony Bellew to become World Champion, also formally head of boxing at Hayemaker, before Coldwell then went on to work with Bellew, the rest, is history. 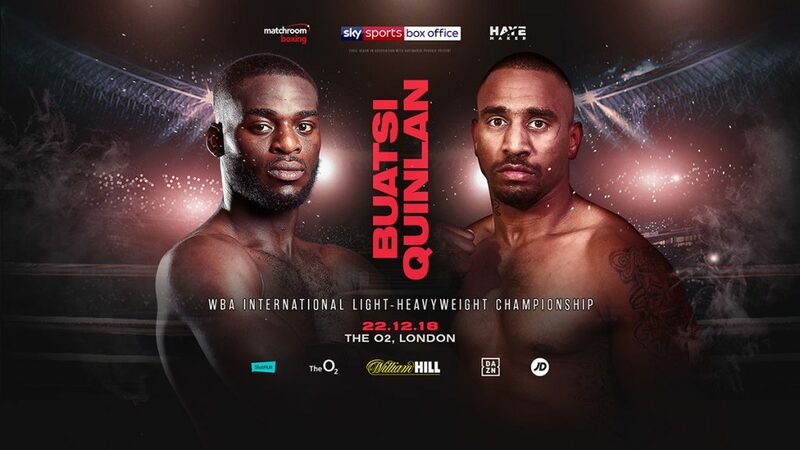 Despite Haye and Coldwell’s war of words during the build up to both Bellew fights, scores were settled in the ring, both are delighted to once again combine forces with the shared goal of driving Chisora towards the biggest heavyweight clashes out there. Former World Title Challenger Chisora caused shock waves when last October he announced his partnership with former heavyweight foe Haye. Two months later, the Londoner proved he still has plenty to give when he came sensationally close to beating Whyte. 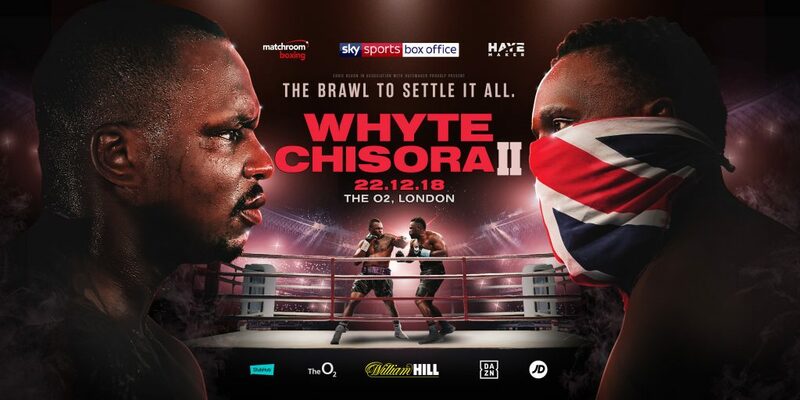 Going into the eleventh round of the exhilarating and brutal fight, Chisora was ahead on two of the judges’ scorecards, despite a number of arguably harsh decisions by the referee, but was then caught with Whyte’s devastating left hook. Haye welcomed Chisora moving under the training supervision of the Sheffield man who has built a solid reputation for his work with former World Champions Bellew and Jamie McDonnell; his brother Gavin, a former World Title challenger; current Commonwealth Champion Jordan Gill and unbeaten prospect Anthony Fowler. 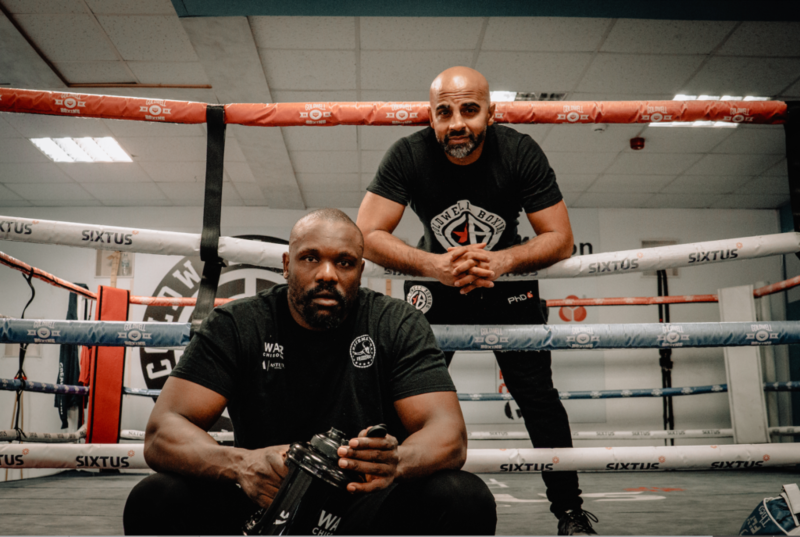 Refreshed, revitalised and with a new focus for 2019, Chisora has already started training with Coldwell at his Rotherham base as the pair look to get back in the ring in the coming months, in a truly exciting period for the division. Haye said, “Boxing is a unique sport where a rivalry can quickly turn to a partnership for the benefit of a working cause, as my partnership with Derek demonstrated. That certainly took everyone by surprise. It all came so tantalising close for Derek in December against Whyte, but as the saying goes ‘That’s boxing’ and especially in heavyweight boxing where one punch can end things. At Hayemaker we’re one hundred percent behind Derek and Dave and we support them as they embark on their quest to be part of the biggest, most exciting heavyweight showdowns. Charlie Edwards will challenge Cristofer Rosales for the WBC World Flyweight Championship on the undercard of Dillian Whyte vs. Derek Chisora 2 at The O2 in London on December 22, live on Sky Sports Box Office in the UK and DAZN in the US. 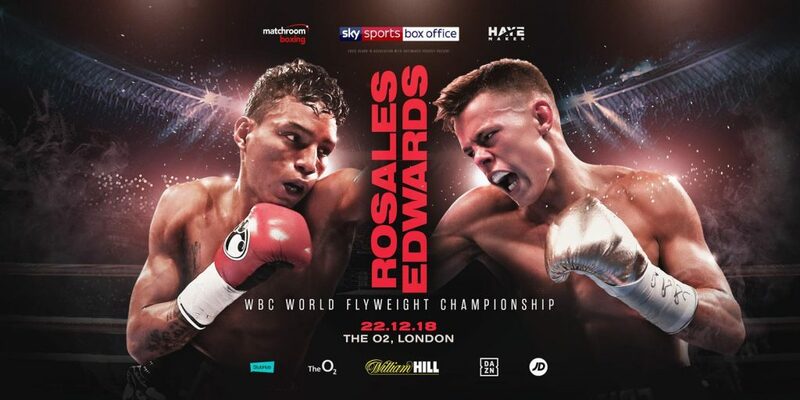 Edwards has already challenged for a World title when he met John Riel Casimero for the IBF Flyweight crown, gamely taking the talented Filipino ten rounds in London in September 2016. The 25-year-old has racked up five straight wins since his first professional defeat and is ready to seize his second shot at World title glory. Powerful Nicaraguan Roasales stopped Daigo Higa to claim the vacant WBC World title in Japan before destroying hometown hero Paddy Barnes in four rounds at Windsor Park in August, and now the 24-year-old plans on silencing The O2 by delivering another devastating performance on December 22. “I’m delighted to get a shot at the WBC World Flyweight title and I won’t be wasting this opportunity,” said Edwards. “I’ve come on a lot since the Casimero defeat and I’ll show that on December 22 by taking the WBC Flyweight World title home with me. “I’ve mixed it with a two-weight, legit World champion and it’s done me the World of good. I’ve come on in leaps and bounds since then and I can’t wait to step up to that level again. “Rosales is a tough man but he’s beatable and we’re already working on a game-plan. I’m heading into this fight with the experience of already challenging for a World title and that will benefit me greatly. 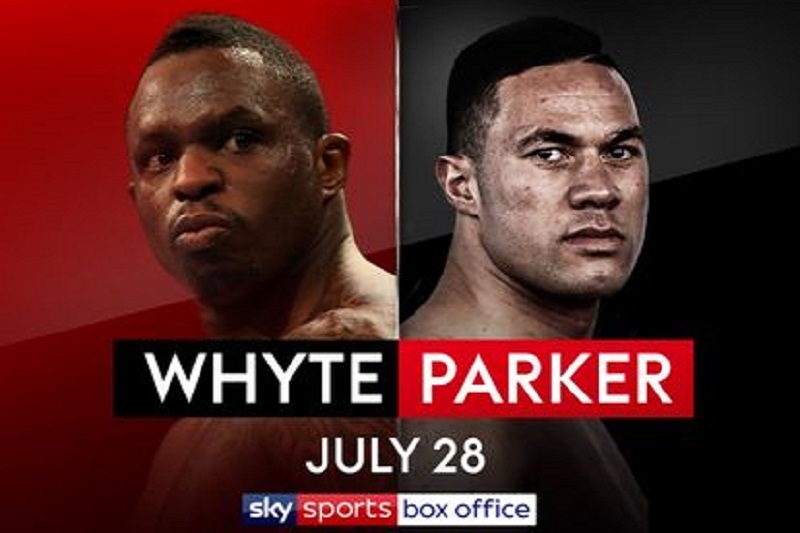 12,000 tickets have been sold today for the crunch Heavyweight clash between Dillian Whyte and Joseph Parker at The O2 in London on July 28, live on Sky Sports Box Office. 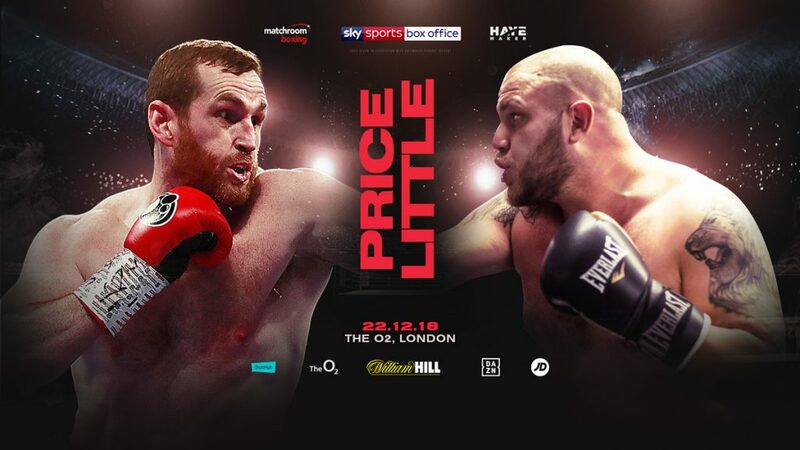 Tickets flew out on general sale today after venue and Matchroom Fight Pass pre-sales sold-out with fans flocking to witness the Heavyweight tussle supported by a bumper bill. 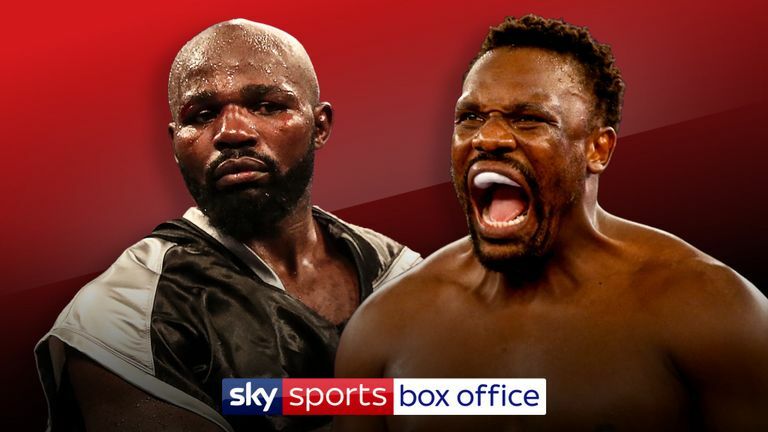 Whyte is on the cusp of World title action destroyed Lucas Browne with a devastating sixth round KO of the Australian in London in March to defend the WBC Silver title and number one ranking he’d landed by beating Robert Helenius in Cardiff in October. Parker is back in the UK after fighting in the Welsh capital in an historic unification battle with Anthony Joshua in March, with Whyte’s old foe handing a first career defeat for the New Zealand star on points. Parker is in Britain for the third fight in a row having made his second defence of his WBO crown against Hughie Fury in Manchester in September 2017. 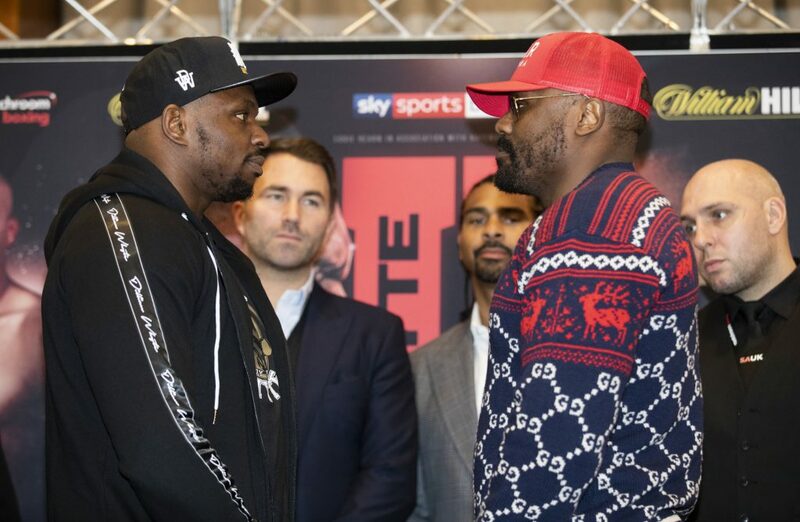 Another 50-50 Heavyweight battle was added to the card today as former World title challengers Dereck Chisora and Carlos Takam meet in a must-win match up that will keep the World title hopes stay alive for the winner, but the loser’s career at the highest level all but over. Tickets are priced £40, £60 and £80.